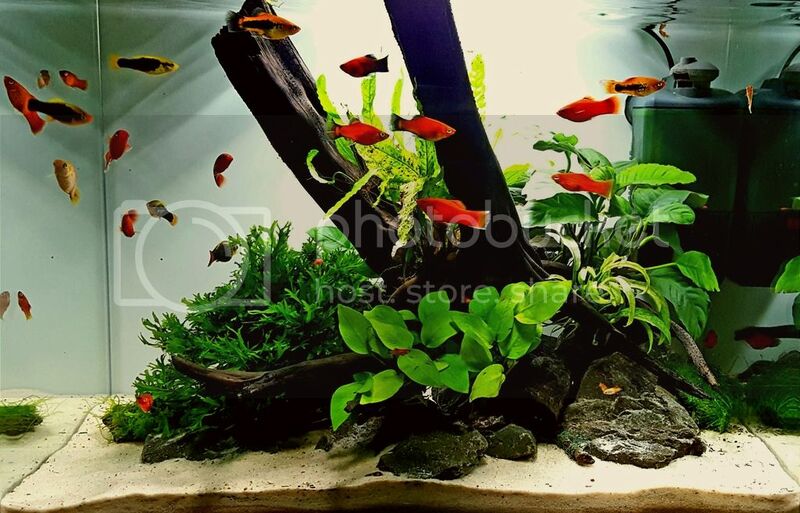 indianaquariumhobbyist.com Forums » Post 356092 » Simple planted tank with low tech plants! http://indianaquariumhobbyist.com/community/ :: View topic - Simple planted tank with low tech plants! Posted: Mon Jan 09, 2017 2:15 pm Post subject: Simple planted tank with low tech plants! A simple easy to do planted tank with low tech plants! Posted: Wed Feb 08, 2017 3:27 pm Post subject: Re: Simple planted tank with low tech plants! Hi, can you please share details about this Plants & Soil? as i too planning to setup a planted tank without CO2.. But not sure which plants n soil to use for low tech setup..
your share would be appreciated..
Posted: Sun Feb 12, 2017 6:26 pm Post subject: Re: Simple planted tank with low tech plants! you can choose ADA amazonia, JBL monado, river sand or even laterite. Plants which can do well without CO2 are java fern, Anubias, sagittaria subulata, Vals nana, Java moss, spiky moss. You can also choose try and error method by choosing low demanding plants. Posted: Sun Feb 19, 2017 8:23 pm Post subject: Re: Simple planted tank with low tech plants! Posted: Mon Feb 20, 2017 10:56 pm Post subject: Re: Simple planted tank with low tech plants! You have so many friendly fish..What fish do you have? Posted: Wed Feb 22, 2017 2:52 pm Post subject: Re: Simple planted tank with low tech plants! Thanks for your info, was helpful..